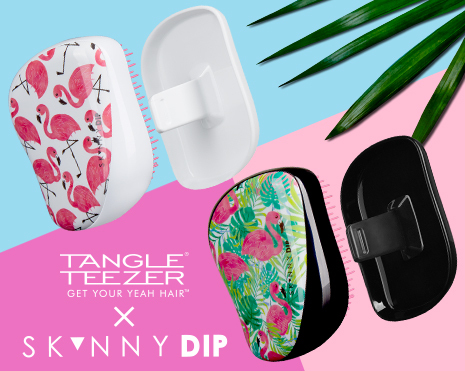 FLAMINGO We are loving the new collab between Tangle Teezer & Skinny Dip! How cute are these new detangling brushes! Bright, fun and perfect for detangling salty summer beach hair! Limited number available in the Salon now!